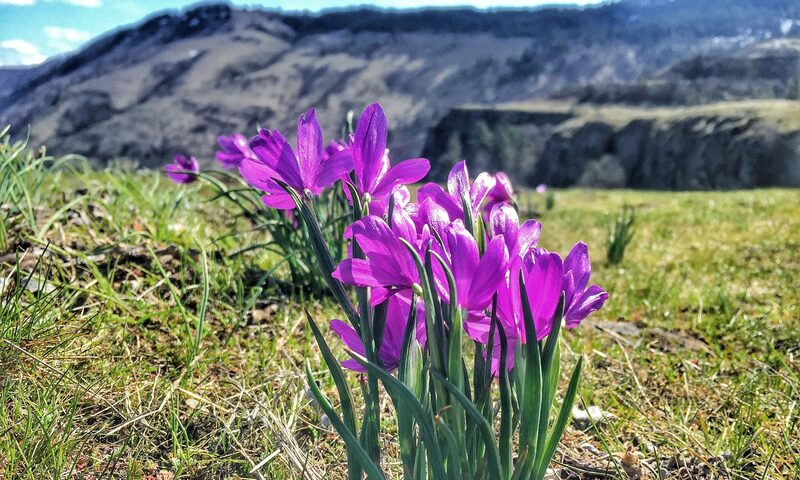 The 80 miles of the Columbia River Gorge’s steep rocky sides offer some of the most spectacular hiking in the world, complete with pounding waterfalls, eagles, century-old trees, ferns, flowers, and ancient rocks. Join us for a day of exploring with 2-4 hikes aimed at pushing you to new heights both physical and experiential. Based on your group’s fitness level and the season, hikes could include Hamilton Mountain, Rowena Crest, Beacon Rock, Dog Mountain, Falls Creek Falls, and many others. Coffee and vegetarian snacks included; your naturalist guide will accompany you on most of the day’s hikes. The day begins with our guide picking you up in one of our comfortable vehicles at your lodging or a central meeting point, in Portland between 8 and 9 a.m. (depending on season). We love to start with coffee or tea to set the plan for the day. After reviewing your hiking experience, goals and fitness level, we work together to devise the ideal itinerary for your group — taking into account differing levels among your group members (many hikes have multiple options). We head out of the city about 30-45 minutes, with a scenic stop on the way to introduce you to the geology and microclimates into which you’ll shortly be immersed. Depending on your group’s plans, you’ll begin with a hike at a trailhead in the Western Columbia River Gorge, such as Latourell Falls or Hamilton Mountain. Expect to be introduced to trail etiquette and practices if you are not already familiar, as well as exploring the detailed world of native plant, lichen, fungus and wild life. Your guide has experience observing (and nibbling on) plant life throughout the year, and you might be offered a taste of your guide’s favorite roadside snack; bring your sense of adventure! You’ll share some picnic snacks, and then head to another destination. 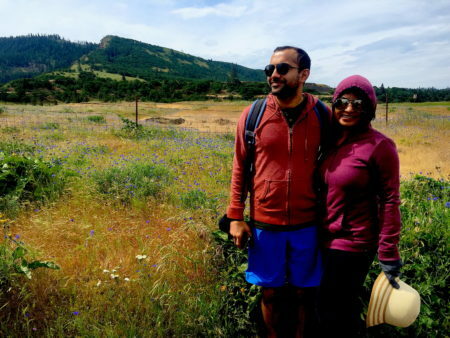 You and your group will visit another scenic stop with a short hike further to the east in the Columbia River Gorge. You’ll get an opportunity to see the shape of landscape and vegetation shift as you move to a new part of the Gorge. At the end of this hike, you and your group will drive back to Portland. Your professional guide will provide naturalist commentary and conversation throughout the day, as well as telling you stories about native legends and introducing you to a wide variety of spiritual approaches to the oldest, most essential meditative exercise: a walk in the woods. You’ll be returned to your hotel at the end of the journey, between 2 and 4 p.m. (depending on season). Hiking shoes that can handle mud and some running water are recommended — for most hikes in July, August, and September, trail running shoes can suffice, but the rest of the year is subject to frequent downpours that leave trails muddy and with occasional small streams running across trails. If you don’t have footwear you’re comfortable in, feel free to contact us for recommendations prior to departure.